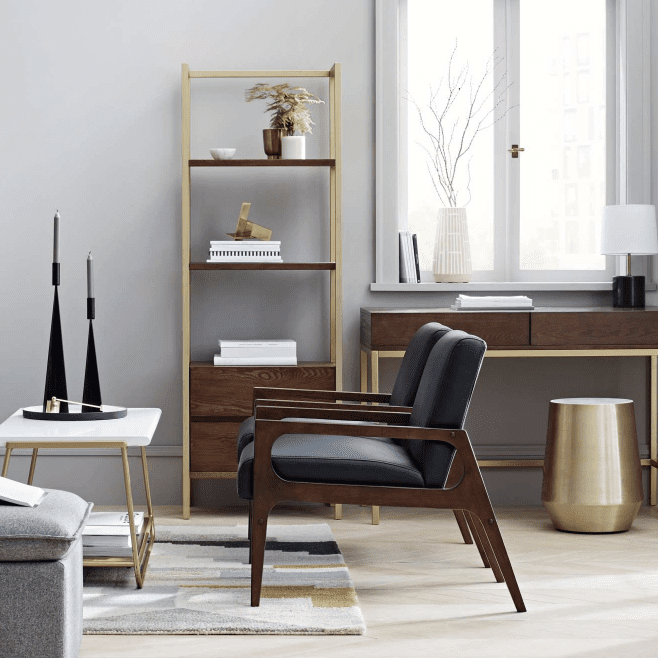 As if we could love Target more than we already do, the retailer's new home line, Project 62, is what budget-friendly décor dreams are made of. Described as "thoughtfully designed, approachable modern home pieces for everyday life," the new line was created for small-space urban living and is basically begging for a spot in your apartment. With offerings for the living room, kitchen, and bedroom, you can make over your entire space without breaking the bank (the most expensive piece featured in the preview is $150). The line channels the year 1962, when "modernist design hit its peak and moved into homes across the country," and coincidentally, Target was born "with the revolutionary idea to celebrate design for all," reads the brand shop. The aim of Project 62 is to embody this legacy while staying true to the retailer's promise of offering stylish home décor at an affordable price point. Get a sneak peek of Target's new home line below, and shop Project 62 online and in stores starting September 19. The line features versatile small-space pieces designed to maximize minimal square footage. Project 62 dubs blush tones as "the new neutral" at home. Décor, including wall art, vases, and small accent pieces, start at just $5. The line offers statement lighting starting at just $20. The armless Slipper Chair, $130, was designed to "squeeze in practically anywhere." All throw pillows are $35 and under. Project 62 is brimming with neutral "go everywhere" chairs that don't compromise comfort for style. All small-scale accent tables, like this gold metallic piece, are just $150 and under. Unify a room with the line's chic rug offerings. The line is also filled with classic black midcentury pieces like this wooden lounge chair. Snag a chic stool, footrest, and side table all for $150 and under. Moving into the kitchen, Project 62 stays true to its promise of chic modern offerings at an affordable price point. This chic metallic barware is all under $30. These striking barstools were designed to make a statement (and easily stow out of sight). We can't get enough of Scandinavian-inspired dinnerware—and the pieces start at just $5. Serveware doesn't have to be expensive—strive for a "stunning yet oh-so-easy presentation" for just $8 and up. The line's modern dining chairs start at just $45. Rest easy with Project 62's stunning bedding, linens, and bedroom furniture that won't break the bank. Keep things light in the bedroom with the line's budget-friendly nightstands. With an emphasis on texture, Project 62's colorful bedding will lull you to sleep (for just $20 and up). The $70 two-way duvets can be worn both ways for two entirely different looks ( and they feature zippers to keep the insert from peeking out). Buy these stylish throw blankets for the bedroom or the living room (starting at just $20). What are your favorite pieces from the Project 62 line? Share your picks below.